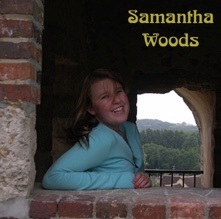 Sam visited Château-Renard for six weeks in the summer of 2007. She had a list of a dozen songs, and was ready to start recording her first CD. Unfortunately, we were only able to get three from her list arranged and recorded (the Miranda Lambert tunes). However, Kate and I were doing final mixes of Dragonfly during this time, and Sam learned all our lyrics and music by osmosis, so she was able to use our instrumental tracks to record the other seven songs here. Sam has a fabulous musical sensibility, and was unfazed by the sometimes awkward keys, just giving the tunes her own treatment (e.g., Stagolee). At age thirteen, Sam produced one of my all-time favorite CDs. Listen, and you’ll agree that’s not just a grandfather talking.